Photo courtesy of KARLEE Company, Inc. Located in Garland, Texas, KARLEE is a contract manufacturer of precision sheet metal and machined components for customers in the telecommunications, semiconductor, and medical-equipment industries. Since beginning in 1974 as a one-man, garage-based machine shop, the company has developed into a one-stop supplier of manufacturing services. Its work ranges from initial design and prototyping to painting and assembly to integration of cabling and power elements. Sales by the woman-owned business approached $80 million in fiscal year 2000, continuing a six-year span in which sales have increased at an average annual rate exceeding 25 percent. Four major customers account for about 80 percent of sales. KARLEE’s business strategy is to cultivate long-term relationships with companies that are among the global leaders in expanding markets. This focus permits the company to dedicate itself to providing high levels of service and to achieve sustainable levels of growth. KARLEE was named Texas Business of the Year in 2000, won the Texas Quality Award in 1999, and has achieved preferred supplier status with all major customers. KARLEE employs 550 people, who are called “team members.” Reflecting the ethnic mix of the region, its workforce is very diverse—47 percent Hispanic, 8 percent African American, and 10 percent Asian. Production volumes have tripled since 1996, and overall customer satisfaction scores have improved 32 percent. Since 1995, labor productivity (measured in terms of sales per hour of labor) has nearly doubled, and waste has been reduced to less than 0.5 percent of sales, down from nearly 1.5 percent. Employee satisfaction, as measured on a scale of 1 to 4, with 1 being excellent, has averaged about 1.65 since 1995, as compared with scores of 2.0 and higher for independently benchmarked competitors. The number of inventory turns, a measure of organizational efficiency, has improved from an average of 9.2 in 1995 to 15.7 in fiscal year 2000. Although this organizational ambition is not unique to KARLEE, the manufacturer does distinguish itself in the way it uses team approaches to promote an intense focus on the customer throughout the company. The company encourages open communications among teams, team participation in setting goals, and team responsibility for managing and improving processes. To foster a common sense of business direction, for example, KARLEE shuts down its manufacturing cells so that everyone can be included in company-wide meetings. The company’s chief asset in motivating a shared commitment, however, may be the culture of mutual trust, honesty, and respect that KARLEE leadership actively encourages. An integrated leadership system links KARLEE’s present operational course to its future direction. The Senior Executive Leader (SEL) team concentrates on identifying and clarifying long-term strategic issues and opportunities, including future customer requirements. The KARLEE Steering Committee, consisting of the seven senior executives and the leaders of departmental teams, distills the SEL’s five-year plan and its forward-looking performance targets into annual business and operational objectives. Decisions are guided by customer assessments—based on annual survey results and almost daily customer feedback—and by equally detailed reviews of KARLEE’s performance, workforce, and operational capabilities. To guide improvements in manufacturing and service performance, the company makes extensive use of benchmarking studies. Among other things, these comparisons help to eliminate potential blind spots resulting from difficulties in gathering information on competitor performance and capabilities. Annual goals are aligned with the company’s five key business drivers—customer satisfaction; operational performance; financial performance; community service; and team member safety, satisfaction, and development. Members of the Steering Committee work with functional and cross-functional teams to translate the goals into improvement projects with measurable objectives. A complementary but distinct output of the planning process is the company’s annual “Hoshin,” styled after the Japanese method for concentrating organizational attention, energy, and resources on accomplishing the tasks considered most vital to realizing a company’s vision of the future. In 2000, KARLEE’s Hoshin was to optimize use of lean manufacturing techniques. Continuing mastery of these techniques has, in turn, helped the company to improve efficiency and productivity and, as a result, benefit customers by reducing delivery times and controlling costs. Operational performance and progress toward goals are tracked systematically and from several perspectives—from corporate to manufacturing cell to support function. Each goal and project has defined methods for measurement. By design, measures are inter-related, enabling executives to identify trends and issues at the organizational level and to drill down quickly to functional areas in need of improvement. KARLEE’s corporate information system, implemented in the early 1980s and later upgraded in 1997, integrates all company data and enables accurate and, often, real-time data analysis. 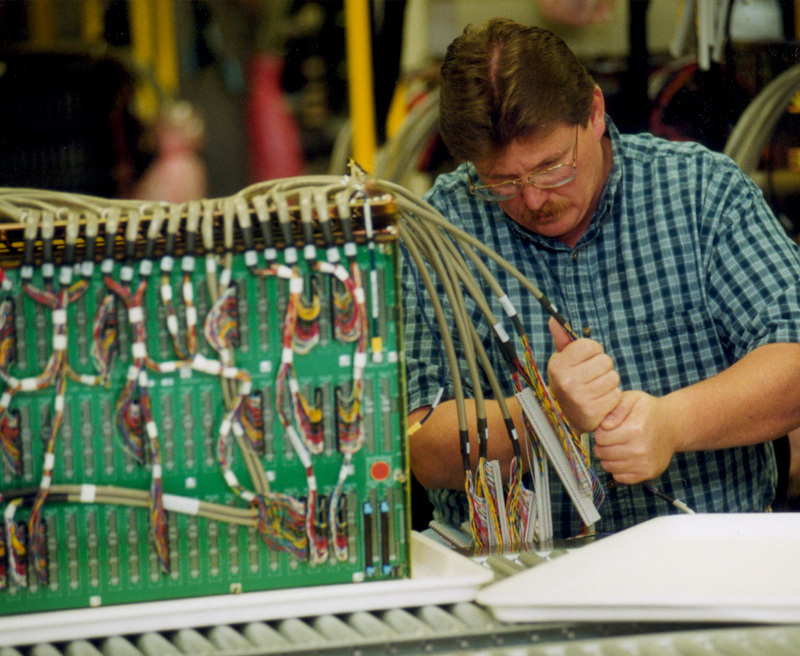 Manufacturing teams use statistical process control methods to monitor process performance. In addition, teams in all areas conduct monthly self-audits, and the Quality Assurance Department performs a monthly assessment of team performance, yielding a weighted quality rating for each team and each department. Results of these evaluations are posted on team, department, and corporate bulletin boards. This permits all team members to check progress toward accomplishing company objectives. KARLEE promotes cooperation, collaboration, and initiative through its team structure. Teams are expected to perform at high levels and to take full responsibility for meeting the requirements of internal and external customers. Cross-training and job rotation are encouraged because they foster organizational flexibility and broaden the base of skills and knowledge needed to respond quickly to changing customer demands. Manufacturing cell teams are empowered to schedule work, manage inventory, and design the layout of their work areas. Every team has a budget for recognition and celebration, which complements the company’s broader program of rewards and recognition. These range from free movie passes to monthly and quarterly awards for outstanding performance by team members and leaders. New approaches to cultivate the company’s family atmosphere and to reinforce team member commitment to KARLEE’s mission are recommended by the Cultural Advisory Committee. Members of this committee are chosen specifically to reflect the ethnic diversity of the company’s workforce. Other vehicles for creating a climate of teamwork and mutual support include the KARLEE Cares Team, which members formed to help fellow workers during times of personal crisis. Also, the company has a policy of encouraging career advancement: 84 percent of its executives and management team leaders have been promoted from within the company. Aiming to be a strategic partner that adds value, KARLEE has been designated a preferred supplier by all of its four major customers. Besides its customer-focused workforce, the company uses advanced manufacturing and information technology to help it adjust quickly to new customer requirements. This total systems approach is led by dedicated customer-response teams. These teams leverage KARLEE’s set of vertically integrated services to capture a growing share of business outsourced by its chief customers. KARLEE representatives participate on customers’ design and production-planning teams. Making prototype parts and products accounts for a growing share of the company’s increasing volume of business. Between 1996 and 2000, production volumes tripled. Still, assembly lead times were trimmed from weeks to two or three days and, in some instances, to a few hours. Over the same period, KARLEE’s surveys indicate that its customer satisfaction has improved by nearly a third. Advanced technology also is helping KARLEE reduce emissions and waste to levels below regulatory standards. For example, a shift to a dry powder-paint process is now well under way. When completed, it will eliminate all emissions of volatile organic compounds, a hazardous byproduct of wet painting.